Most rewarding project is one that goes as smoothly as you planned it. On the other hand, it is quite boring if all goes without any discrepancies or unexpected complications. Recently we were asked to participate on a renovation of very familiar club in the hearth of Bratislava city center – Trafo Music club. Why familiar? Several years ago, we helped to shape the space into a modern place with our tech. Owner decided it’s a good time to upgrade and we were the obvious first choice for the job. The biggest challenge – LED ceiling which would allow to play video animations from 3rd party software. 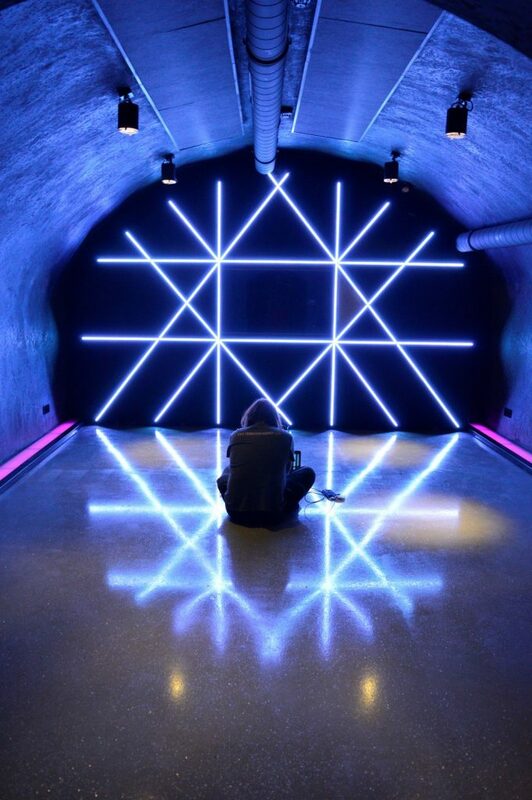 Old installation with LED Pixels along the walls. The task was to implement a ceiling consisting of several metal frames above rather small dance floor. This ceiling would pair seamlessly with LED screens along the whole room. 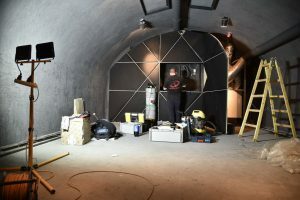 Second task was to help create a mood in two rooms connected to the main dance floor by maze of mediaeval tunnels. We carefully hid LED strips inside a newly built wooden wall. Creating a simple, yet beautiful pattern. We always prepare as much as we possibly can before we go to install on site. Conditions at our workshop are much more suitable for delicate tasks such as soldering the strips together and testing if they are all working correctly. Metal frames for the ceiling arrived several days before we were supposed to go to the club. We started to install the strips and digital LED controllers needed. In total, we used 6 LEC3 controllers and 400 m of our professional LED strips. Each had 60 diodes per meter. For the power consumption needed, we installed 20x200W 5V power sources, giving plenty juice plus some reserve. Given the place, we used black version of the controller. For the two walls, we had to carefully measure the length of each line and cut out metal profiles that would hold the strips in position. Over these profiles we put a semi-transparent plastic diffusor plates to protect the strips and to avoid any damage. We knew that people in night clubs are very keen to test the durability of literally anything after few shots and few hours on the dance floor. The progress was slow, yet the careful planning payed off as we were able to minimise the number of corrections on sight. Every manager and owner of such place cares for the safety of the visitors. The frames could seriously injure someone in case of a fall. Local workers used some massive screws to attach every frame into the position needed. This created a complication though. Although everything was carefully planned, one of the LED ceiling frames had to be moved for few centimetres. The effect on the overall installation was minimal and apart from adding some power cables and adjusting the animations in our LED Strip Studio software, the “damage” was acceptable. Carefully attaching the frames to ceiling. Wiring different sections of the wall installation. We thought that with the heavy work done, the hardest part is well behind us and we can now just enjoy the mapping process. Two walls were easy tasks. We used a photo of the whole wall as a background and then carefully mapped each strip. The result – see for yourself. Completely different story was the LED ceiling. 5 out of 6 frames were working as expected. Once we connected the 5th controller, it started to glitch. We have spent hours figuring out why one of the frames, at this point we were sure it was actually controller, malfunctioned. Updated the firmware, rebooted the device. We were starting to seriously consider the worst possibility of all – replacing the controller. That would however mean we have to put down the frame. The time was running out, so we tried one last option. Switched the computers. To our great surprise, it worked. The animations stopped glitching! Dance Floor ready for Party! Final task was to use our software to grab the animations from a 3rd party virtual screen software. Once we saw the short looping clip on both the LED ceiling and the program, we knew we are done. Who we are, what we do? Are you a beginner in LED Strip Studio system? 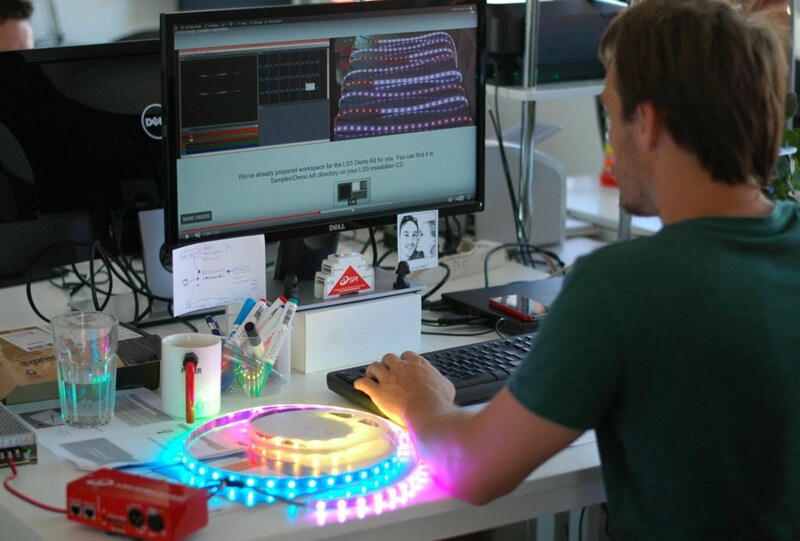 Jaroslav Rais on Are you a beginner in LED Strip Studio system? 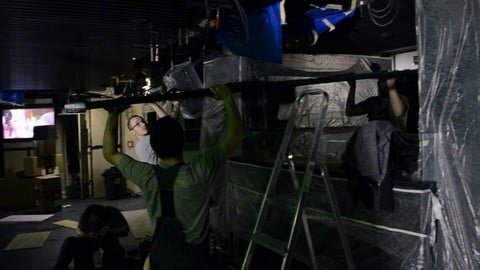 Michele Cappelletti on Are you a beginner in LED Strip Studio system? adrian chatellier on What is main difference between Digital and Analog LED strips?